When visiting Australia there is so much to see that careful planning is necessary to make the most of your time here. In a country with so much space you often need to travel long distances between destinations. However, with the right plan and location you can ensure that your trip will be one to remember forever. Each State within Australia is varied and offers different experiences to the traveller so it is definitely worth exploring more than one location. Queensland is home to a beach called ‘Surfers Paradise’ and promises to offer the experience of a lifetime. If you are looking for sand, sun and surf then Queensland is the place to be. When looking for Gold Coast apartments you need to consider how close you are to the beach, your ability to access the rest of Queensland by public transport, and your proximity to the night life. Make sure you strike a balance between all of the options so you don’t miss out on the shopping, sand, or scenery. Sydney is an active and vibrant city where you will always find yourself entertained. From the beautiful views of Darling Harbour to the active nightlife on ‘The Rocks’, Sydney will provide everything necessary for an exciting trip. Sydney traffic can be slow to navigate at times so it is important when looking for accommodation to find serviced apartments in Sydney which are easily accessible from one of the many train stations in the city and close to the centre so you never have too far to travel. Melborne is the second most populous city in Australia after Sydney and is renowned for its shopping opportunities in enough malls to keep you busy for weeks. Melborne is also of great historical interest and the beautiful city centre is a sight to behold. Surrounding Port Phillip, the centre is positioned at the most Northern point and the city engulfs the bay. Staying in the centre of Melborne will not only provide you with access to excitement, but also with unbelievable views. Perth is the largest city in Western Australia and is rich with parks, canals and beautiful rivers. Perth is the place to visit if you like to be outdoors because this large city is scattered with beautiful oases whilst remaining vibrant and exciting throughout. When staying in Perth it is good to be located near the coast to make the most of the surrounding islands, port cities and bustling marinas. When visiting Australia it is important to experience some more historical aspects of the country as well as the cities. 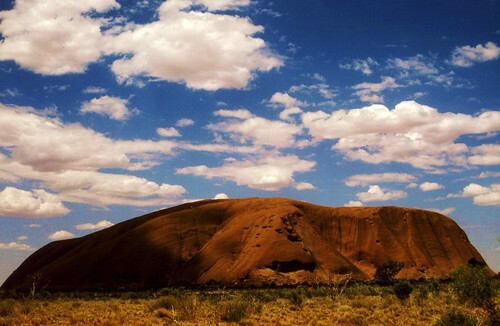 Whilst the ideal place to stay for sun and excitement is in the city, it is worth travelling out on excursions to places such as Uluru and the Blue Mountain. These natural and historical areas of the country are rich with beauty and are a must see for anyone visiting Australia. Make sure you arrange trips to these wonderful and unforgettable sights.